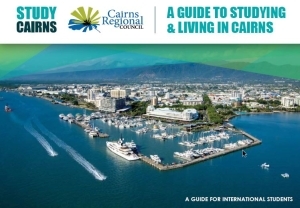 The Study Cairns CONNECTS Employability Project provides globally-relevant 21st-century skills development for students in Cairns to enhance their employment prospects in Australia and abroad. The BPP is a 3-week program in which teams of international students work collaboratively to deliver a consulting project for a local Government Agency, Business or Nonprofit. 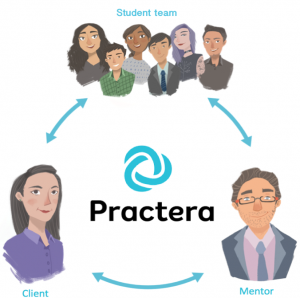 Teams are guided by a structured program, learning content via Practera’s technology platform and receiving support from an appointed professional mentor. Provide Cairns-based students with an opportunity to develop 21st century employability skills and expand their social and professional networks. Provide Clients with real outputs by having culturally diverse, multidisciplinary teams work on key business challenges. Applications close 12pm (midday) on Friday, 26 April 2019. The gen[in] & CONNECTS International Student Innovation Hackathon is an opportunity for students in Cairns to develop their entrepreneurial skills, solve problems through innovation and compete for amazing prizes! Innovation Hackathon applications are now closed. Practera is a multiple award-winning, recognised tech innovator and education provider that has facilitated high quality work-integrated learning experiences for over 10 000 students. This project is co-funded with the support of the Queensland Government’s International Education and Training Partnership Fund, managed by Study Queensland within Trade and Investment Queensland.